School leaders nationwide are preparing to accommodate a crush of new students who have been separated from their parents, don't speak English and are living with unfamiliar sponsor families following a summer marked by an influx of children crossing the borders from Guatemala, El Salvador, Honduras and other parts of Central America. Nearly 40,000 unaccompanied children been released to sponsors in the United States, according to the Office of Refugee Settlement, which last updated its numbers at the end of July. Under federal law, all children are entitled to a free public education, no matter if they have entered the country legally or not. Many school districts have taken the challenge seriously. One of those school districts is in Oakland. The Oakland Unified School District board is set to vote Wednesday night to accept a $45,000 grant from San Francisco's Zellerbach Family Foundation, to pay for a new position supporters hope might become a national model. The district is also poised to receive $30,000 from the Moraga-based Y&H Soda Foundation. The Oakland Unified School District board is set to vote Wednesday night to accept a $45,000 grant from San Francisco's Zellerbach Family Foundation, to pay for a new position supporters hope might become a national model. The district is also poised to receive $30,000 from the Moraga-based Y&H Soda Foundation to pay for an "Unaccompanied Minors Specialist." Nannette Miranda reports. The money is for one school year, and would pay for one "Unaccompanied Immigrant Minors" specialist to help these youth who "cross the border alone, without papers or parents," as the school district grant application reads. "They are some of the nation's most vulnerable immigrants," and "make academic achievement extremely difficult for these students." More than 340 recently arrived immigrant students from Guatemala, El Salvador and Honduras have enrolled in Oakland schools since last summer, according to Bay Area News Group. At least 150 are known to have crossed the southwest U.S. border unaccompanied by parents or guardians and now await hearings in immigration courts. Some are already known to teachers, but many arrived just a few weeks ago after school let out for the summer. Oakland Unified includes 119 schools serving nearly 50,000 students. "The questions for schools is going to be how do we Id the needs of students in a very quick manner so we can provide the necessary resources and of course that comes with cost," said Francisco Negron, general counsel for the National School Boards Association, noting that what sets these students apart is that they likely have no parents or guardians to help them navigate their math homework and science projects. “They’re completely on their own to sort this out,” said Carmelita Reyes, co-principal at Oakland International High School. 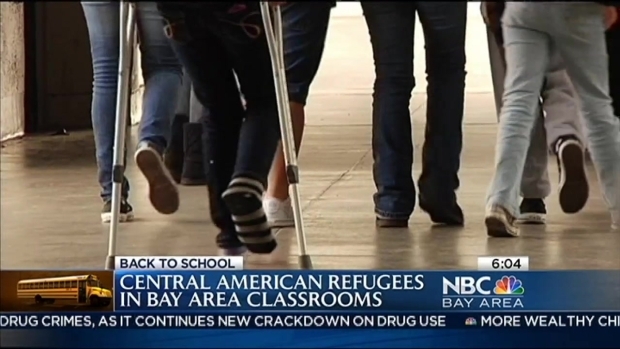 The Oakland School Board considers new measures to deal with an influx of migrant students. Nannette Miranda reports. Oakland isn't the only school district that's taking a proactive step in addressing new immigrants. The San Francisco Unified School District said Tuesday it plans to hire another two to three high school teachers this fall to accommodate more than 200 newly arrived Central American students who have already enrolled this year, in addition to 422 who had enrolled last year, according to Bay Area News Group. San Francisco is a "santuary city, and San Francisco Unified is a sanctuary school district," Matt Haney, a school board member told the San Francisco Examiner. In Contra Costa County, the West Contra Costa district is working with Catholic Charities to enroll 64 unaccompanied migrant students from Central America in adult education programs, some elementary schools and Kennedy and Richmond high schools. The high schools offer health and dental clinics, mental health counselors and connections with social services agencies and nonprofit groups, district spokesman Marcus Walton told the news agency. 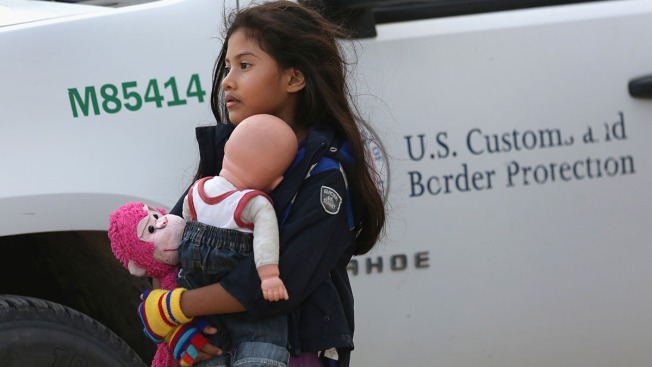 The number of children illegally crossing the border began tapering down in July, but more than 62,000 arrived unaccompanied since October, according to the U.S. Department of Health and Human Services. Nearly 4,300 children have been placed in Texas while their immigration cases are heard. More than 3,000 are in each of New York, Florida and California, and 2,200 in each of Virginia and Maryland. See the full breakdown of numbers, state by state, here. NBC Bay Area's Christie Smith and Nannette Miranda, and NBC Universal's Jennifer Vasquez contributed to this report.